Obtained from John Smith inside Antiques 'n Such, in Borealis (You can read about the other missions HERE). Your goal is very simple, but it can also be very annoying. 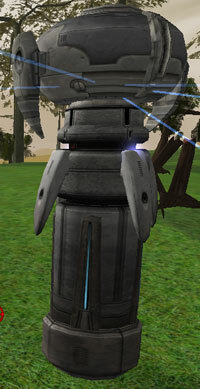 Your main objective is to tag a series of 5 Notum Wars towers. You don't have to destroy any towers or fight other players despite this being a PVP mission. All you have to do is click on them in order and your mission will update. Here's how it can be annoying.. Not all tower fields will have the towers that you are looking for and you may end up flying around to several different fields to get them all. As tower field ownership is in a constant state of change, you may not be able to find the same towers from one time to the next when getting this mission. The first four items on the list you do not have to click on side specific towers. 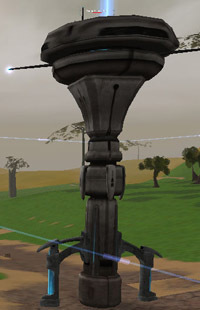 When you get to the Control Tower, you then have to click on an opposing factions tower to complete the mission. (Note: This may have changed recently. Please feel free to let us know if you have encountered the mission and it makes you choose an opposing faction for the first four towers). The list of towers that you have to find are: a massive cannon turret (the lowest QL on these is 40, so avoid lower level tower fields), a SAM battery, a guardian conductor of ransacking, a fire spouting tower, and a control tower. You can see them in order below. For the first four towers that you need to target, you can target either Clan or Omni towers, but you must target a control tower of an opposing faction to complete this mission. 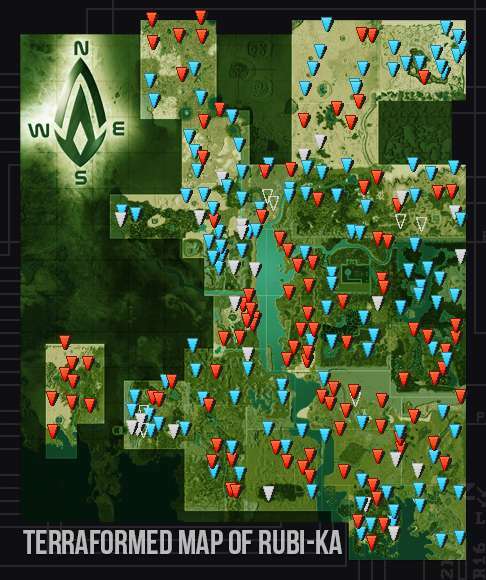 You can quickly determine where a tower site being held by the opposing faction by looking at the live land control map from the official Anarchy Online web page. Neutral players will be randomly assigned to target either a clan or omni control tower. You can do a few things that will help you when you get this daily mission. First, you can try to find a tower field, or series of tower fields, that have all of the needed towers. As stated, this can be difficult due to the nature of towers. 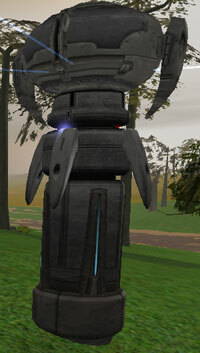 Your best bet is to use Demoder's Tower War Tracker and then click on "Towersites". This gives you a break down by zone of the current state of towers, their faction, and how long they have been in place. It also helps if you choose a site that is listed as cold. This means that no one has attacked the field recently. A cold field is good because it means if you can find all of the towers in one, or two that are close to each other, then it isn't likely going away soon and you can use it for the mission whenever you get it. Remember that you'll want tower fields above QL40 or you won't be able to find any with the massive cannon turret.